Now, we’ll explain each of the forex charts, and let you know what you should know about each of them. 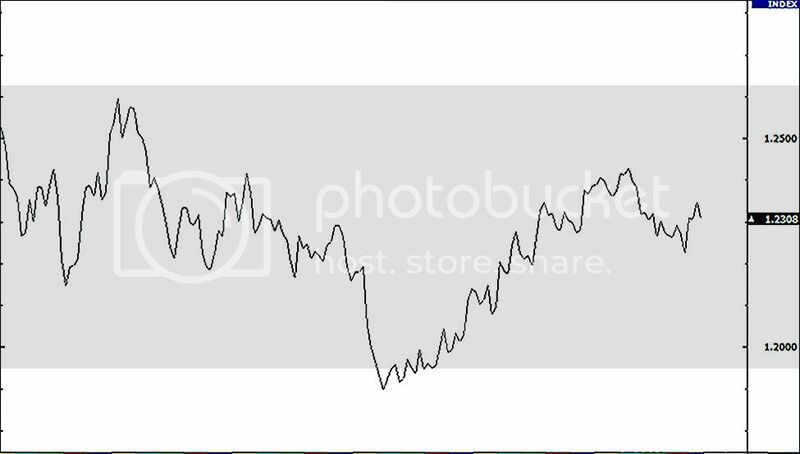 A simple line chart draws a line from one closing price to the next closing price. When strung together with a line, we can see the general price movement of a currency pair over a period of time. A bar chart is a little more complex. It shows the opening and closing prices, as well as the highs and lows. The bottom of the vertical bar indicates the lowest traded price for that time period, while the top of the bar indicates the highest price paid. 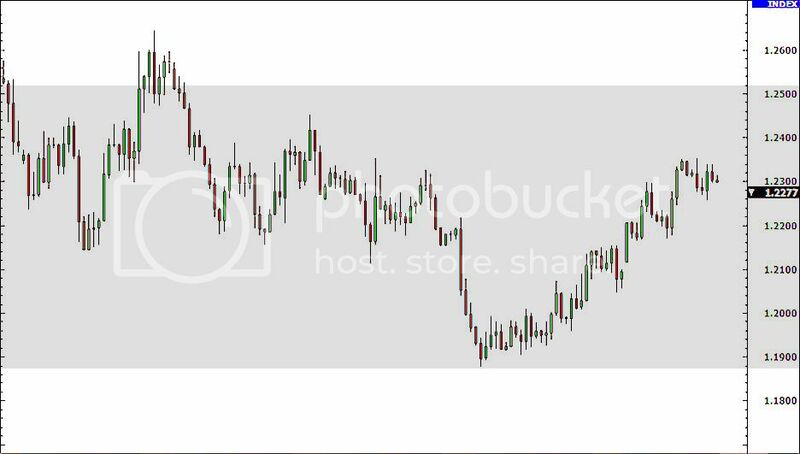 The vertical bar itself indicates the currency pair’s trading range as a whole. Take note, throughout our lessons, you will see the word “bar” in reference to a single piece of data on a chart. A bar is simply one segment of time, whether it is one day, one week, or one hour. When you see the word ‘bar’ going forward, be sure to understand what time frame it is referencing. Candlestick charts show the same price information as a bar chart, but in a prettier, graphic format. However, in candlestick charting, the larger block (or body) in the middle indicates the range between the opening and closing prices. 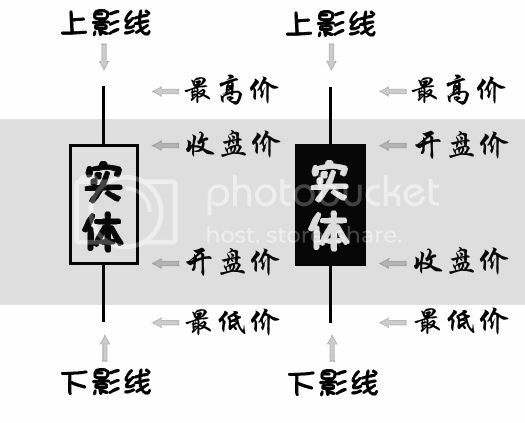 Traditionally, if the block in the middle is filled or colored in, then the currency pair closed lower than it opened. In the following example, the ‘filled color’ is black. For our ‘filled’ blocks, the top of the block is the opening price, and the bottom of the block is the closing price. 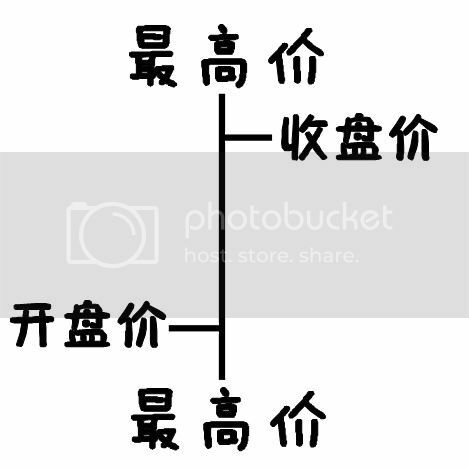 If the closing price is higher than the opening price, then the block in the middle will be “white” or hollow or unfilled. Here at BabyPips.com, we don’t like to use the traditional black and white candlesticks. They just look so unappealing. And since we spend so much time looking at charts, we feel it’s easier to look at a chart that’s colored. A color television is much better than a black and white television, so why not splash some color on those candlestick charts? We simply substituted green instead of white, and red instead of black. This means that if the price closed higher than it opened, the candlestick would be green. If the price closed lower than it opened, the candlestick would be red. In our later lessons, you will see how using green and red candles will allow you to “see” things on the charts much faster, such as uptrend/downtrends and possible reversal points. 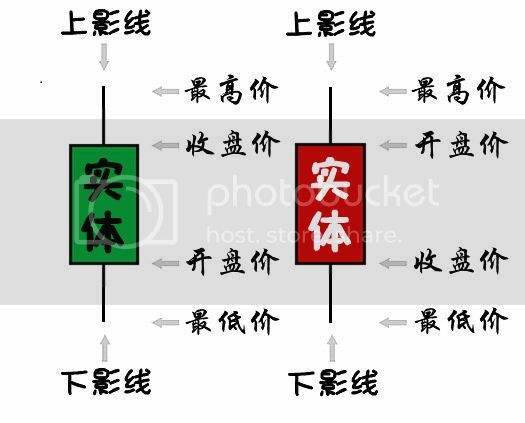 For now, just remember that on forex charts, we use red and green candlesticks instead of black and white and we will be using these colors from now on. Check out these candlesticks…BabyPips.com style! Awww yeeaaah! You know you like that! 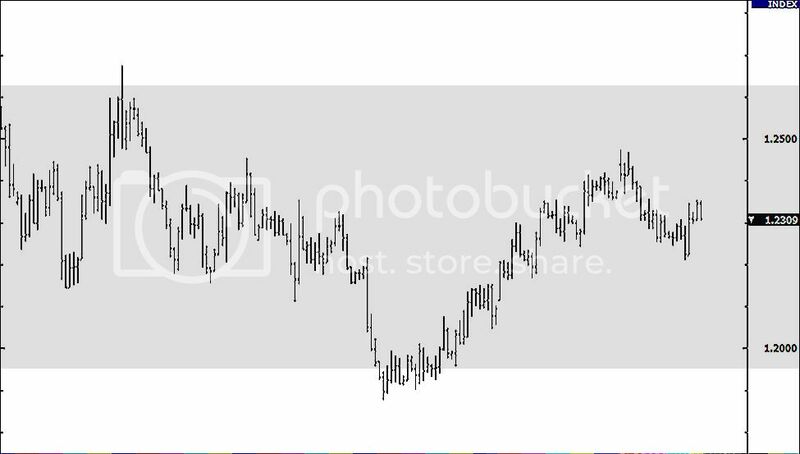 Here is an example of a candlestick chart for EUR/USD. Isn’t it pretty? Now that you know why candlesticks are so cool, it’s time to let you know that we will be using candlestick forex charts for most, if not all of forex chart examples on this site.